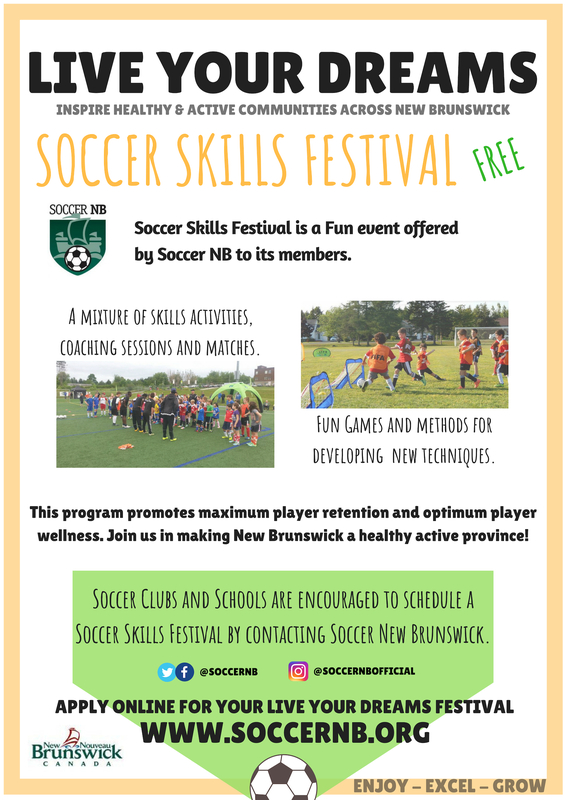 Soccer Skill Festival is a great Fun event that Soccer NB is offering to its members for free. It is a mixture of skill activities, coaching sessions and matches. It typically involves many teams playing 2 games during the festival plus the various fun activities taking place. Soccer NB coaches will lead a 1h session per group of up to 100 players per hour, introducing Fun Games and a new method to develop techniques. This program promotes maximum player retention and optimum player wellness.